In this episode, I interview Nick Robinson, co-author of StumbleUpon for Dummies. He’s also the social media channel manager for SAP Americas. Nick shares how StumbleUpon works and why it’s different from other platforms. You’ll learn how to use StumbleUpon to discover shareable content and the type of content that works best. Nick explains how StumbleUpon is a content discovery engine. It’s a search engine and bookmarking site all in one. It’s great if you want to bring exposure to your online content, which can include your website, blog post, video or infographic. Nick believes that the key differentiator with StumbleUpon is the Stumble button. It takes you directly to a piece of content on another website that you are interested in. You can tell StumbleUpon what your interests are in several ways. When you set up your profile, you can specify your interests, the interests of people you follow and what pieces of content you have given a thumbs-up to on that particular website. When you set up your account, you can specify what you're interested in. When you click the Thumbs-Up or Thumbs-Down button, it tells StumbleUpon’s algorithm if it should or shouldn’t serve that type of content to you in the future. Each person’s StumbleUpon experience is personalized. It allows you to curate content, promote your content and connect with communities with all types of interests. Listen to the show to find out how you can create content that’s relevant to an audience within an Interest category. Nick believes that any business in B2B or B2C can use the platform. It all depends on the type of content you produce. The content needs to entertain, be informative and connect with your audience. To be successful, you need to test and measure, based on the changes you learn. StumbleUpon launched their new design and a new mobile app, which has increased its mobile stumbles by 25% over a one-year period. However, the majority of StumbleUpon activity is still primarily desktop, at over 60%. Since these changes were made, around 40% of their activity comes from mobile. In the next couple of years, Nick thinks it will easily overtake desktop. The new mobile app has increased mobile stumbles by 25%. You’ll discover as a marketer what you need to consider with these figures in mind. According to Alexa, StumbleUpon is one of the top 149 websites in the world and Quantcast estimated that 23.4 million people in the last month in the U.S. alone have used it. As of June 2013, when the StumbleUpon for Dummies book was published, StumbleUpon had 25 million registered users. They have indexed over 100 million–plus web pages. Listen to the show to find out how much the average user “stumbles” per month and the time spent on the platform. Nick says that two companies come to mind, which are both primarily content publishers. The first is Forbes. They do a great job, which is primarily attributable to their company page. They use it to acquire followers and as a content feed. Forbes company page on StumbleUpon. Unfortunately StumbleUpon has closed off access to these pages to the general public, but you’ll find out how you could possibly have access. You’ll hear how Inc. takes a different approach to their StumbleUpon account and the type of content they share. Listen to the show to discover why StumbleUpon can provide you with an alternative to other platforms if you are in B2B. Nick explains there are a couple of things that you can do to find great content. When you use the Stumble button, it allows StumbleUpon to serve you content based on what it knows about your interests and the people you follow. If you don’t want to share the content immediately, you can always save it for later. You’ll discover how to create lists and the best way to use them to your advantage. Clicking the plus sign in the upper left-hand corner allows you to add content to a list. Another great way to find content is to look at other people’s profiles and see what they share. StumbleUpon has made it easy for you to share content you’ve stumbled directly to other social networks. You just have to make sure that you connect each account to your StumbleUpon account. Listen to the show to learn how to manually share content from StumbleUpon. Nick states that the easiest way to do this is to use StumbleUpon widgets on your blog or website. If you have a WordPress blog, you can download a plugin to implement it on your site. However, if you manually download the code for the widget, you have a choice of different sizes and weights. 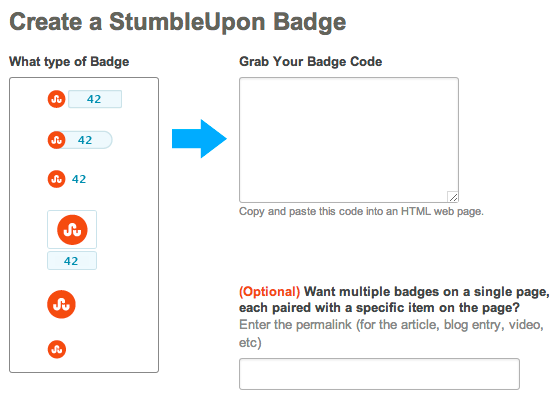 Once you have chosen your button, StumbleUpon will give you a code to drop into the back end of your website. Listen to the show to find out why having a StumbleUpon widget on your site is Nick’s number-one piece of advice. Nick explains that the company pages you see are grandfathered in and have closed access to the rest of us. He advises to engage with content shared by other company pages within your space, as long as they’re not competitors. You can also use employees’ individual profiles to amplify content. A company with thousands of employees will most likely have a greater audience than a company page. Listen to the show to find out why it doesn’t hurt to set up a StumbleUpon account for yourself and use it to promote your own content. Nick thinks that the best way to find power users is to go to the Follower section of the main menu on the home page. You can look for people who are really active and have a lot of content. Each person's profile shows you his or her activity. When you see someone who has over 500 followers, it’s a signal that they have a certain amount of influence on the platform. When an influential user stumbles and likes your content, it lets the StumbleUpon algorithm know that it’s quality content. It’s very similar to Google +1s. Your content can take off when you get 1-5 stumbles from influential users. If your aim is to drive traffic to your blog, you first need to focus on your main areas of interest. You’ll find out how many influential StumbleUpon users you need to follow and what you need to do to get on their radar. Listen to the show to find out what you need to do to allow power users to share your content. Nick highly recommends that you test Paid Discovery. Although it doesn’t work for everyone, if you produce the right type of content and choose the right type of targeting, it definitely works. It’s also great to use if you have a budget to amplify your content, or you want to seek the marketplace and get a boost from paid media. Paid Discovery is worth checking out. You’ll hear how cost-efficient the system is and learn all about the different targeting features available. On the home page, you’ll see certain widgets that contain paid content. Marketers pay to have higher visibility within your home page. Roughly 10% of their stumbles are through the Paid Discovery system. It’s an enhanced way to get your content out there. Nick explains that you only pay for the people who actually go to your website. You don’t pay for the shares, likes or comments. Listen to the show to find out how Paid Discovery can generate low-cost leads for your business. Hilary Boyd, marketing director at Fit4Mom, asks, “Our company used to be called Stroller Strides and in August of this year, we renamed the company Fit4Mom to be more inclusive and an umbrella brand for our three sub-brands. During the renaming process, we added new social media pages but we didn’t take away any of our sub-brand pages. It’s an interesting question. I think it comes down to resources. In the end, the real question you have to ask yourself is, can you, as marketing director, manage all of these different channels? It sounds like these channels are organized by product or service, and the target audience for each one is a little different. From a marketing perspective, you have to be more focused, rather than broad and less focused. So when someone engages or decides to click the Like button, they will see highly relevant content. Whereas if you are less focused, then people will not be as engaged. In the end, it will hurt your brand. I think deep down, if you admit it, it’s always better to have a highly focused effort on whatever you do. It does ultimately mean more resources. Is it more efficient to have one page? Absolutely. Is it more effective to have one? Absolutely not. The conference features more than 60 sessions on social media marketing, blogging, podcasting and video marketing. You definitely want to make sure you get your ticket before the year is up. It’s clearly heading toward a sell-out. The more important reason is because the discounts are significant now, but the price will go up dramatically by the end of this year. The conference is organized into four different tracks—social tactics, social strategy, community management and content marketing. Some of these tracks are so large that they are broken down into multiple sub-tracks. It’s going to be an amazing conference. Check it out and make sure you watch the videos and testimonials. Connect with Nick Robinson on his website. Check out Nick’s book: StumbleUpon for Dummies. Read about Steven Olenski, co-author of StumbleUpon for Dummies. 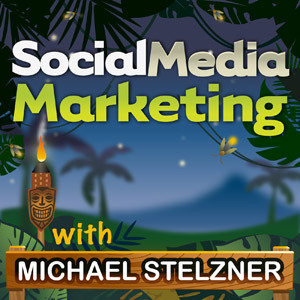 Listen to the podcast with Neal Schaffer on Social Strategy: How to Build a Sustainable Social Media Marketing Plan. Set up a StumbleUpon account. Download the new StumbleUpon mobile app. Head over to Alexa and Quantcast. Check out the company pages for Forbes and Inc.
Take a look at Michael Brenner, the majority of whose Forbes blog post shares are on StumbleUpon. Try HootSuite, TweetDeck or Buffer as a social media management platform. Learn more about StumbleUpon’s widgets. Try Paid Discovery for a boost in traffic. 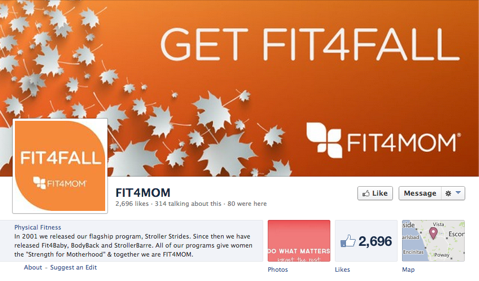 Check out Fit4Mom on Facebook. What do you think? What are your thoughts on using StumbleUpon to drive traffic to your content? Please leave your comments below.